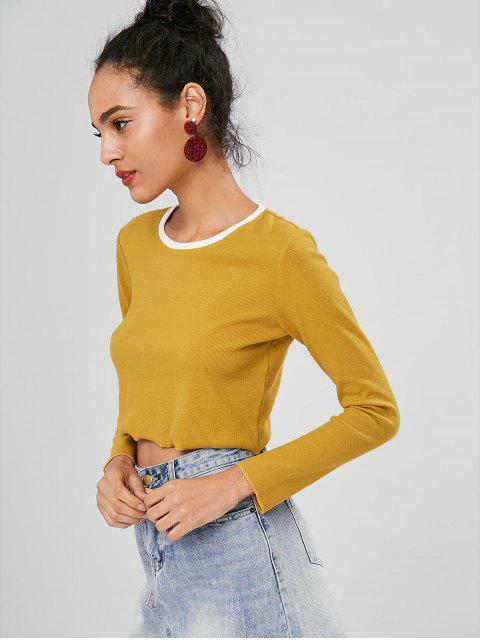 [27% OFF] 2019 Long Sleeve Contrast Neck Cropped Tee In MUSTARD | ZAFUL .. Contrasting collar trim brings a fun twist to this solid tee with a ribbed construction, a striking hue, a clingy fit, and a cropped length. Style it with skinnies and trainers for a chilled day-to-day vibe!